Hello loves! 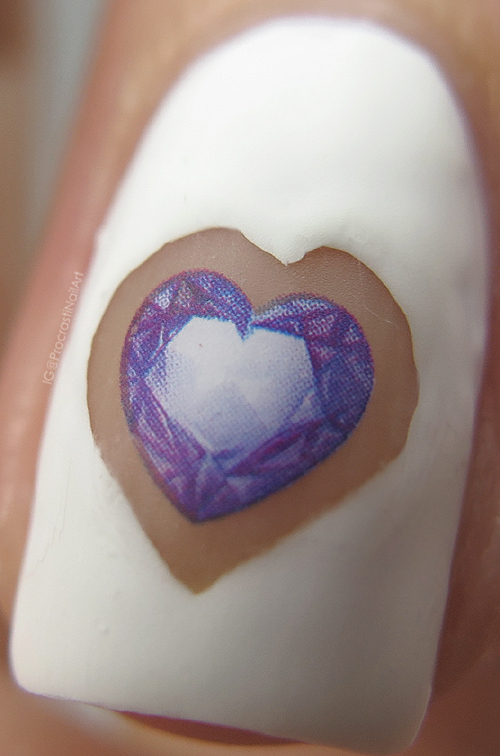 Today I have a very pretty negative space mani to share with you that features some heart shaped jewel decals from Born Pretty Store. When I pulled these out I had no idea what I was going to do with them, and in fact this started out as a French manicure and evolved from there! Yay for organic creation! 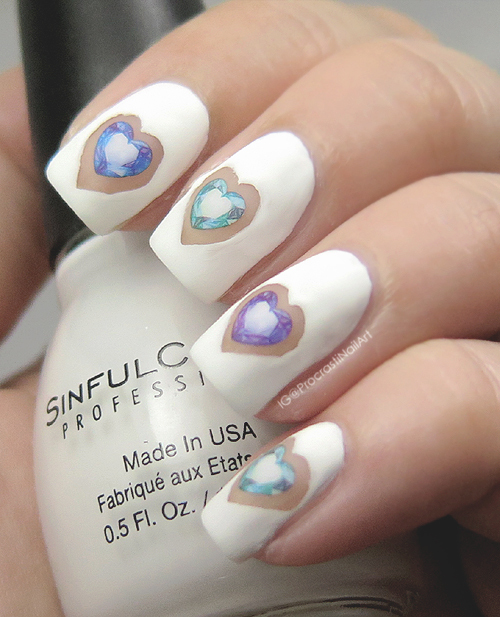 Let's start out with the decals, as they're the feature of this mani. 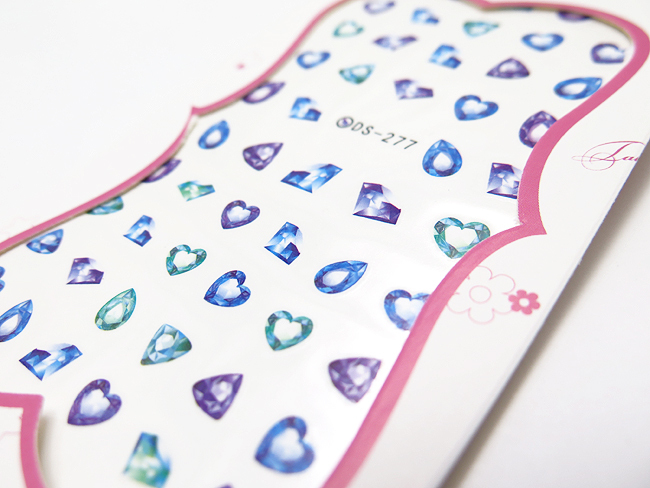 You can see how I received them above - there are a few different shapes and the gems come in three different colours. You get quite a few of them which is awesome, so I'll have to come up with some other ways to use them! The decals applied really easily, and I was really pleased that they're opaque enough that you don't need a base coat under the decals for the colour to come through. If you want to pick them up you can find them here for $1.50! Freehanding the heart outlines was a bit tricky and I'm not 100% happy with them but they're decent, and everything takes practice right? The decals have a very princess-y feel to me, so I think I'll need to do some type of crown or necklace look with these in the future... 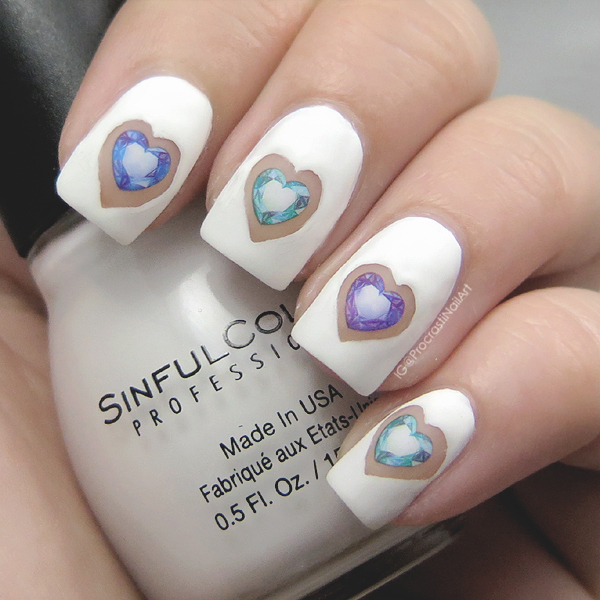 The colours come out a bit softer on the nail than the decals look like on the paper, but that's fine. They're still lovely! How do you think I should use these decals in my next look? Let me know your ideas! I love love love the way this came out! 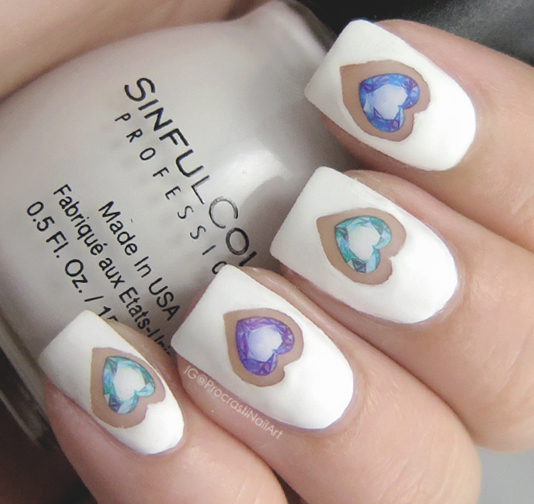 I really enjoy this mani, it made me think of a game called Bejeweled that I play religiously. These are so cool! Great job with these! Oooooo I really like these!! Beautiful and unique! Those decals are super pretty! I really love the way you decided to use these in a negative space context - I've never seen that before and love the effect! I absolutely adore how these turned out!